I discovered this technique by accident, when I was in a pickle and couldn’t figure out how to finish a seam so the raw edges wouldn’t show. 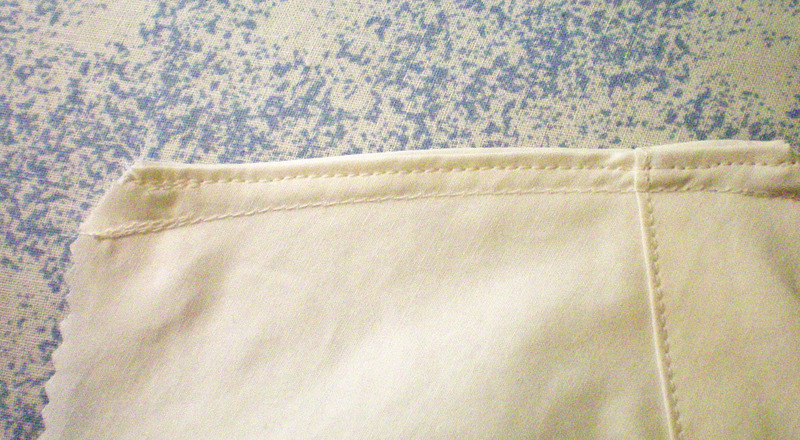 Up until that point, I’d used French seams in the garment, but then I encountered a seam that tapered to the edge, like a dart. I couldn’t sew it with a proper French seam, yet I still wanted to finish the seam neatly. 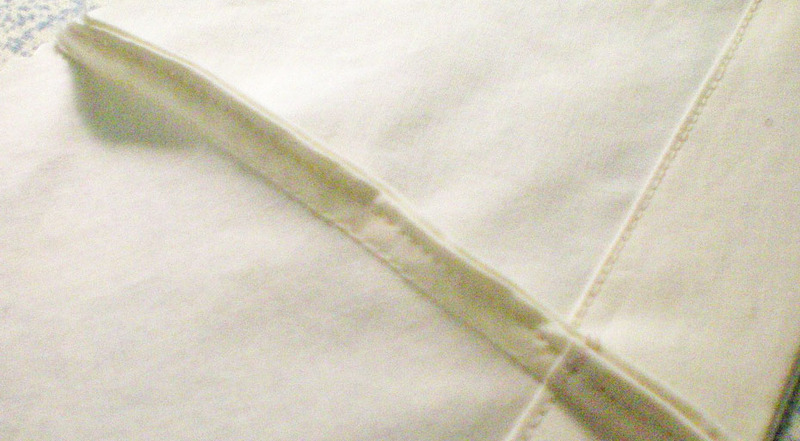 So, after stitching the seam normally, I folded the raw edges toward each other and pinched the seam closed, as if it had been French seamed. I figured I could sew near the edge and it would look almost as good. I was surprised at how well my faux French seam turned out. 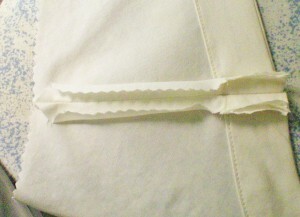 It’s easier than a regular French seam, because there’s no trimming involved, no pressing and turning. You just sew a normal seam, right sides together, and then stitch the raw edges together, neatly encasing them within the seam. Follow along and I’ll show you, step-by-step. 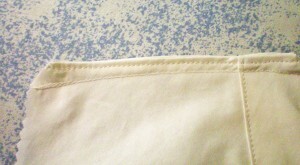 First, sew a normal seam with either 1/2” or 5/8” seam allowance. 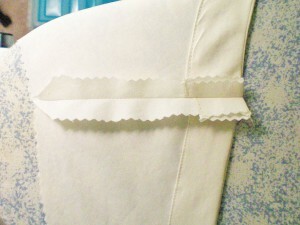 Have you ever used this type of seam finishing? I’d love to know if it actually has a name! This entry was posted in Tuesday's Tips & Tricks and tagged Basics, Lingerie, Modern Garments, Tuesday, Victorian. Bookmark the permalink.